We often assume we know all that is needed to know about the Church. But no one person has all the scriptural knowledge as to the Lord's Church, and no one book presents all the various facets of this most-important subject—the pearl of great price for which Christ gave all He had, His life! The Lord's Church and the order which He has prescribed for its functioning are very important to Him—much more important than many believers think! Mr. Ridout lived in a time of considerable exercise as to the Church, with much truth as to the Church being given up (as also true today). 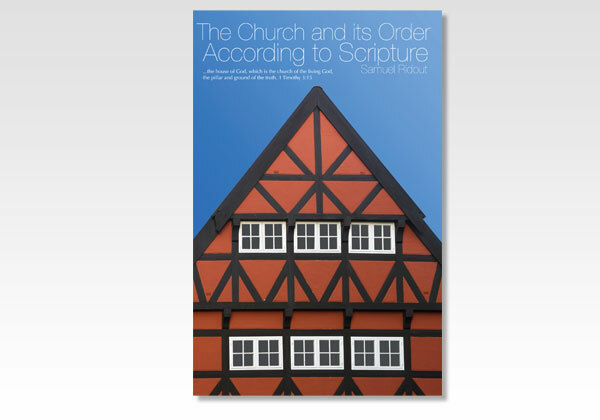 He thus takes up the subject of the Church in an easy-to-read, logical way—its nature, unity, local aspect (the local assembly), its organization, worship, ministry and discipline. He ends with looking at a number of miscellaneous features of the true Church. We believe you'll spiritually profit from not only reading this comparatively short but profound book, but studying it! Samuel Ridout (1855-1930) graduated from Princeton Seminary after spending three years in the U.S. Navy. Under deep exercise as to his position, he separated from the Presbyterian denomination and began to follow the truths taught by so-called "Plymouth Brethren." He married in 1883 and had several children. He followed F.W. Grant as editor of "Help and Food" magazine and had an extensive ministry among the assemblies for about 35 years. He wrote a number of books including this book on the Church.